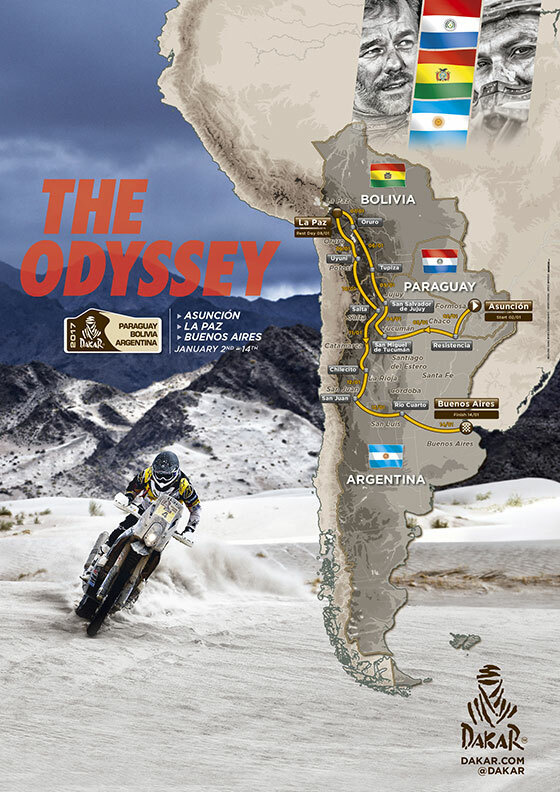 “The route of the 2017 Dakar preserves rally-raid traditions, with a physical challenge that will push the competitors into the world of extreme endurance: 7 selective sections will be over 400 kilometres with one of more than 500 kilometres. The rally will be spent 6 days at more than 3,000 metres above sea level. The balance of difficulties can be illustrated by a double upward trend: the level of difficulty will increase just until the rest day, then a second increase in power will be necessary, to reach one’s ideal level for the “Super Belén”. Nothing will be decided until the very last special stage at Río Cuarto”.